Of all the splendours of the Eternal City, few have a more intriguing history than her great fountains. 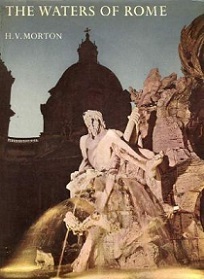 In this magnificently illustrated book HV Morton describes them and also surveys the aqueducts that feed them - a unique and wonderful relic of ancient Rome. Contains 48 colour plates.